Sandwiched between New Mexico’s largest lake and 3.3 million acres of mountainous national forest, Truth or Consequences has outdoor recreation covered.But it’s not just the outdoors that draw thousands of visitors every year - the town is home to some of the quirkiest attractions in the country. 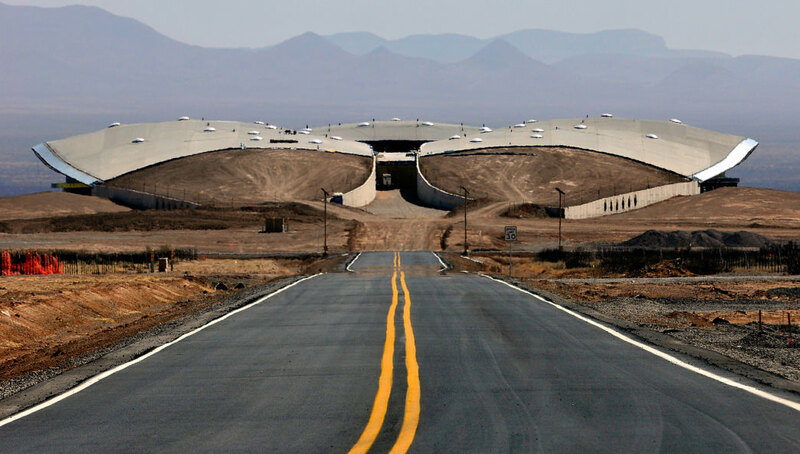 For example, just a short drive away from ‘T or C’ (as it’s known to locals) you’ll find historic mining towns and Spaceport America, the world’s first purpose-built spaceport. Another big reason people come to T or C is for the natural hot springs, which have been beckoning visitors for as long as anyone can remember. 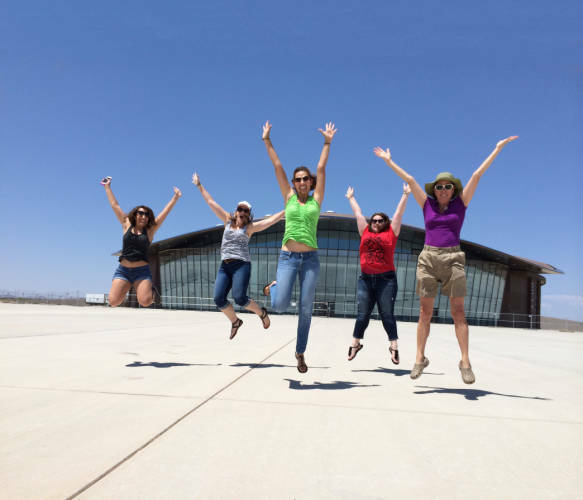 If you’re planning a trip to T or C, it can be tough to decide where to start and what to do, so here’s one itinerary for spending a long weekend in this unique Southwestern town. On March 31, 1950, Hot Springs, New Mexico, traded its name for a new one: Truth or Consequences. When radio and television Ralph Edwards, who emceed a show named "Truth or Consequences," sought a town that would change its name, the town in Southern New Mexico was game. The newly inked Truth or Consequences, known as ‘T or C’ to locals, celebrated with an annual festival, and for decades, Edwards traveled there to host it. The fiesta, marked the first weekend in May with a parade, fiesta queen, and boat race, has continued—as has the town’s hot springs past. The National Park Service has enshrined a large part of T or C’s downtown as the Hot Springs Bathhouse and Commercial Historic District. Ten bathhouses, each with access to geothermal waters, welcome guests for day soaks and multi-night stays, since many are also hotels. These include La Paloma Hot Springs and Spa, Blackstone Hotsprings, and Riverbend Hot Springs. The Pelican Spa spreads its colorful wings across much of the district, with red and pink outposts and rooms named after the colors they are painted, from aqua to persimmon. After getting into town and settling into your room, take a scenic drive to a nearby ghost town like Cuchillo, Chloride, or the artsy enclave of Hillsboro. On Hillsboro’s main street, duck into Black Range Vineyards tasting room to sip New Mexico’s wine history, which precedes that even of California. If beer is on the menu instead, head back into town for a pre-dinner craft brew from Truth or Consequences Brewing Co., which keeps several suds on tap, including a sippable blonde ale. When it’s time for dinner, go for a New Mexican staple: chile (the vegetable, not the stew). Everything is more flavorful when topped with red or green chile and Asian-fusion dishes are no exception at Latitude 33, where stir fry and curry get a Southwestern chile kick. 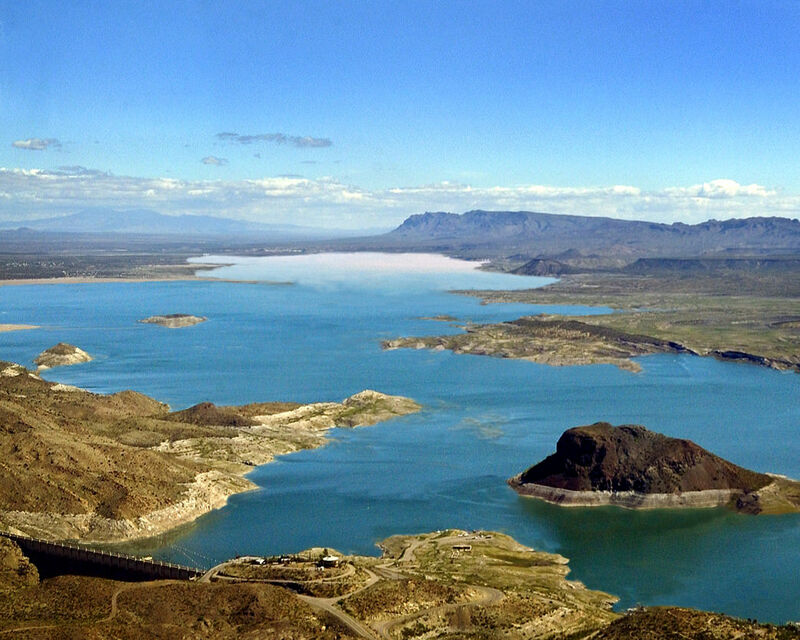 The town may have drawn its name from mineral-rich waters, but there’s more than soaking in T or C. It’s close to Elephant Butte Lake State Park, as well as two smaller, lake-centered state parks. The Rio Grande also meanders through town as it flows south toward Mexico. The river here is wide and slow, so there are few rapids to run, and you’re better off going for a leisurely, long-distance paddles beneath azure skies. Zia Kayak Outfitters rents its namesake vessels and paddleboards out of the nearby town of Elephant Butte. T or C isn’t shy about showing its artsy side. Just wandering around town you’re likely to spot sunshine yellow license plates arranged as though a school bus, and Joy, a steer made of recycled metal that bedecks the corner of Main and Pershing. On the second Saturday of the month during Art Hop, galleries mount new shows and stay open late—usually, with a dose of live music. Check out the RioBravoFineArt Gallery which displays fine paintings and other works from local and regional artists, like Delmas Howe. While ambling about town—park your car, downtown is only a few blocks in each direction—take note of El Cortez Theatre. The 1935 theater with an Instagram-worthy vintage sign got a facelift in 2007 and shows first-run films weekly, usually on Wednesdays and Friday through Sunday. For dinner, Café BellaLuca is sure to impress with wild-caught seafood prepared in the heart of the desert. The Italian fare is hearty, the ambiance inviting, and the wine list impressive—it has won Wine Spectator awards for five years in a row, another accolade that shows T or C should never be picked last in the vacation version of kickball. On your last day, book an early tee time for Sierra del Rio Golf Course. This 18-hole course got the nod as one of the best in the state from Golf Digest. Even if your ball ends up in the rough, at least it retrieving it will be scenic. The course is set in the sprawling high desert at the base of Turtleback Mountain (if you don’t see the turtle in the lookalike mountain, you’re not alone). After a round of golf, head to the Grapevine Bistro. Although it’s open for breakfast, locals swear by the Dynamite Grilled Cheese, which also puts this local café on many visitors’ checklists. Maybe it&apos;s the cheddar/Jack cheese blend, but the parmesan-encrusted jalapeno cheddar bread is what makes it truly irresistible. Local literati gather at Black Cat Books and Coffee for poetry readings once a month, but entering this bookstore anytime is likely to cue hours of browsing. The owners have amassed a 30,000-strong book collection, many from area estate sales and gathered while crawling through old barns. The town’s main museum—Geronimo Springs Museum—has that same feel, with locals dusting off storage boxes to amass its quirky collection of barbed wire, arrowheads, and pottery. The town also marched out its assemblage of military paraphernalia for the Dianne Hamilton Military Museum at Veteran’s Memorial Park. Before leaving T or C, grab dinner at the old-fashioned A & B Drive-In for a green chile cheeseburger and a milkshake. You’ll likely see some locals here, and many visitors make sure to stop here every time they are in town. If you feel like you’ve just scratched the surface of what to see in and around T or C, you’re right. 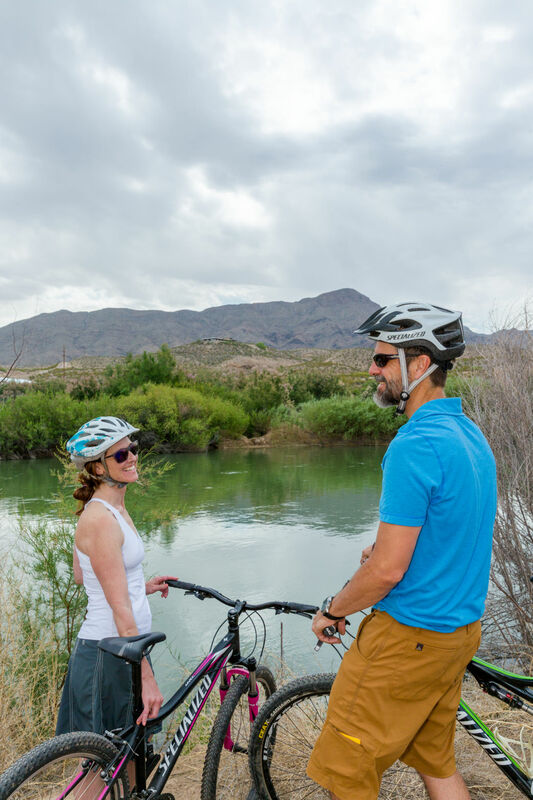 Visitors are often surprised that there is so much to do in this funky little town, and end up coming back year after year for family vacation, a romantic getaway, or just for a weekend of adventure! Originally written by RootsRated for New Mexico.